When it’s sticky, humid, and blistering hot outside, it’s definitely time to move your workout routine indoors. And for us gadget-lovers, indoor gym sessions are the ultimate opportunity to bust out the latest and greatest digital equipment. From apps that can measure your fitness and progress, to scales that can tell your BMI, today’s fitness gear is a lot more advanced than a jump rope and a medicine ball. If you want to get the best fat-busting tech in your home gym, keep reading for our favorite new devices and apps. There’s a lot more to being healthy than your weight. The newest Bluetooth-enabled smart scales reflect that reality by giving you holistic insights into your body’s breakdown. You can track not only your body weight across a given time period, but your muscle density, body fat, and hydration, too. These devices send small electric currents at safe levels through your body, allowing you to rate your progress across multiple measurements. The results are displayed in an app on your phone, so you can view them on-the-go, anytime you need to. If you’re obsessed with health data, then you need one of these in your weight room, pronto! If you’re used to hitting the trails every day, treadmill running can seem like downright drudgery. Fortunately, the treadmill scene has improved a lot since the machines were first introduced. Today’s devices come with built-in touchscreens programmed with spectacular trail views, speakers, and even fans to keep you cool while you burn calories. Some even have preloaded workouts from famous trainers, so there’s plenty of inspiration to keep you going. The dog days of summer have finally met their match! Almost every fitness wearable covers the basics, like measuring your heart rate and tracking your steps for the day, but only an elite few are really suitable for the serious gym goer. The Atlas wristband automatically detects your activity, counting your reps and tracking your vitals for each kind of exercise and offering you suggestions to improve your form. You can even take it swimming to count your laps. Garmin and Samsung Gear also manufacture wearables that go above and beyond your basic step tracking, and they can recognize a range of activities and popular weightlifting reps. Fitness trackers make it easier to measure your progress and rate your health over a wide range of measurements. They track not just your exercise and heart rate, but your caloric intake, sleep, and metabolic rate, too, which makes the journey to summer fitness all that much easier. 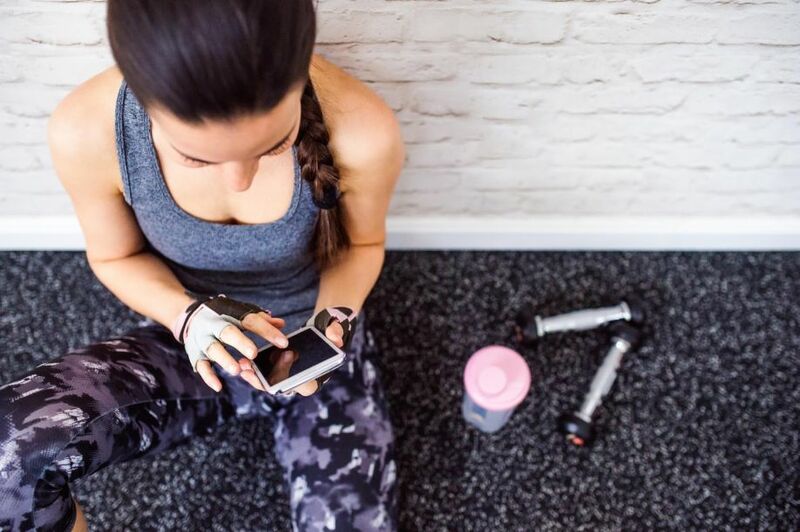 If you don’t have the money for your own personal trainer, online apps like Dailyburn, Daily Yoga, and FitStar help you design your own workout and educate yourself about what’s best for your body. One of our little-known favorites is iMuscle 2, which provides 3D displays of the body to show you which stretches and exercises target particular areas. It’s the best way to learn how to improve your form for weightlifting and strength training and will get you inspired to try out those new squat variations you’ve heard about. After all, knowing is half the battle! We know what you’re thinking: “What does a smart thermostat have to do with my morning workout?” But the temperature in your home gym actually has a bigger impact than you’d think. Your body is a lot more effective at regulating its temperature in the cold than it is in the heat, especially when you’re working out. That means you’ll be able to workout harder and longer in a cool room. Specifically, the International Fitness Association recommends temperatures between 65 to 68 degrees Fahrenheit for ideal conditioning. Of course, that can be pretty tough on your energy bills. But that’s where the smart thermostat—a favorite of ours here at Modernize—comes in. With these handy smartphone-controlled devices, you can manage the settings on your heating and air conditioning using an app on your phone. You might even consider zone-controlled heating and air conditioning for these rooms—many of these products are also automated and WiFi enabled. Once your gym is enabled with the latest high-tech devices, you’ll have the most insight into your body and performance that you’ve ever had. So bring on the next set of crunches—you’re ready!